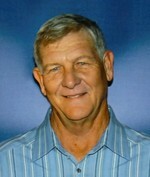 Jerry D. Loman, 73, passed away on Thursday February 7, 2019 at his home in Las Cruces, New Mexico. Jerry was born to George and Margaret Loman on March 14, 1945 in Carlsbad New Mexico one of six children. Jerry met his beautiful wife of 45 years, Gayla Gibbs Loman, in Evansville Indiana. They later married to blend their two wonderful families of six children. Jerry began his lifetime career in construction when he was 19 years old with Brown & Root, building power plants and refineries across the United States which led to owning his own construction company, Garland Loman, Inc. Over the next 28 years until his retirement in 2011 his company designed & built many commercial and industrial facilities across the state of New Mexico. Apart from managing his company, Jerry devoted his free time to his family and friends, loved to travel and enjoyed the outdoors where he liked to camp, hike, hunt, and fish. He spent time volunteering within the community and various ministries at Mesilla Park Community Church. Jerry is survived by his wife Gayla: sons, Mike (Jennifer) Loman, David Gibbs, David (Gracie) Loman, Casey (Kim) Gibbs: daughters, Angela (Kevin) Rivera, Michelle (David) O?? ?Toole: 15 grandchildren, 19 great-grandchildren: brother Steven Loman: sister, Nina Loman Hobbs, and numerous nieces and nephews, and his dear friend Ralph Cadena. Jerry was preceded in death by his parents, and siblings Edward, Sharon and Robert, and great-granddaughter Breelyn. A private celebration of his life will be held on Monday February 11th. Memorial donations can be made in Jerry?? ?s name to Mesilla Park Community Church for outreach ministries or to the charity of your choice. I know he heard these words as he entered heavens gate. ?? ?Well done, my good and faithful servant (son). Enter now into the joy of your Master (father).?? ?